Five decades after President John F. Kennedy was fatally shot and long after official inquiries ended, thousands of pages of investigative documents remain withheld from public view. The contents of these files are partially known — and intriguing — and conspiracy buffs are not the only ones seeking to open them for a closer look. Some serious researchers believe the off-limits files could shed valuable new light on nagging mysteries of the assassination — including what U.S. intelligence agencies knew about accused assassin Lee Harvey Oswald before Nov. 22, 1963. Morley’s effort has been joined by others, including G. Robert Blakey, chief counsel for a House investigation into the JFK assassination in the 1970s. But so far, the Joannides files and thousands more pages primarily from the CIA remain off-limits at a National Archives center in College Park, Md. Others say the continued sealing of 50-year-old documents raises needless questions in the public’s mind and encourages conspiracy theories. 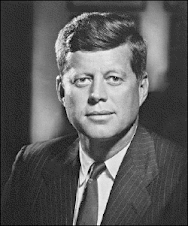 “There is no question that in various ways the CIA obfuscated, but it may be they were covering up operations that were justifiable, benign CIA operations that had absolutely nothing to do with the Kennedy assassination,” said Anthony Summers, a British author who has written extensively about the JFK case. To understand the attention to the Joannides files, it’s necessary to go back to 1963 and to review what’s known about Oswald that put him on the CIA’s radar. It’s also important to recall the differing conclusions of the two official investigations of the JFK killing — one denying any conspiracy, the other suspecting one — and how much or how little cooperation investigators received from CIA officials, including Joannides himself. Oswald was a loner and an enigma even to those closest to him. 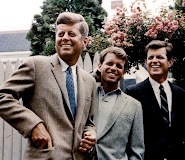 He was “as difficult to understand as anyone I’ve studied in 35 years as a professional historian,” said David Kaiser, whose 2008 book, “The Road To Dallas: The Assassination of John F. Kennedy,” drew on tens of thousands of documents released in the 1990s. Still, plenty was learned about Oswald after the shooting in Dallas. And, it’s now clear, he was not unknown to the U.S. government before that. Pamphlets Oswald had in his possession bore an address of a local anti-Castro operation connected to a former FBI agent with ties to organized crime, investigators discovered. That and other information has led researchers to believe that Oswald may have been part of a counterintelligence operation to discredit the group he had joined, the Fair Play For Cuba Committee, and that the street scene was a setup. If so, who would have overseen such an operation? Declassified documents show that Joannides, while based in Miami, was the CIA case officer for the anti-Castro Student Revolutionary Directorate (DRE), the group involved in the street fracas with Oswald. The Warren Commission, which concluded in 1964 that Oswald acted alone and was not part of a conspiracy, was never told about the CIA’s possibly relevant anti-Castro activities, despite the fact that former CIA director Allen Dulles was a Warren Commission member. Warren Commission staff counsel Burt Griffin, now a retired judge, calls it “an act of bad faith” by the CIA. “I think they had an obligation to tell the chief justice (Earl Warren, commission chairman) about that, and then that decision would have been his and the commission’s to make,” Griffin said. In separate interviews with The Associated Press, Griffin and fellow staff counsel David Slawson stood by the Warren Commission’s conclusions. Each pointed to a series of personal rejections behind Oswald’s deadly action: Weeks after he made an unsuccessful attempt in Mexico City to get a visa to Cuba, his wife Marina rejected his attempts to reconcile their rocky marriage. It was during Oswald’s visit, the night before the shooting, to the suburban Dallas home where his wife and two young daughters were staying that he packed up his disassembled Mannlicher-Carcano rifle to take to work the next day, the Warren Commission determined. That next morning, he removed his wedding ring, left his money with his wife, and departed to carry out the assassination. Kaiser, the historian, has postulated that Oswald, long seen as a devout leftist, was in fact being manipulated by right-wing and mob elements in his final months and that his visit to the Cuban and Soviet embassies in Mexico City in the fall of 1963 was part of an attempt to reach Cuba and kill Castro. Release of documents held by those governments could be revealing, Kaiser said. By the time the House Select Committee on Assassinations convened in the mid-1970s to probe the Kennedy and Martin Luther King Jr. killings, other congressional investigations had exposed the CIA’s activities in the early 1960s, including plots to assassinate Castro. 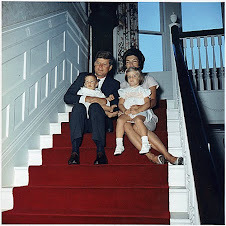 Those revelations would be overshadowed, however, by the House committee’s JFK conclusion: That sound impulses recorded on the microphone of a Dallas police officer amounted to evidence of a shot from the infamous “grassy knoll” in Dealey Plaza, and thus of an additional gunman besides Oswald firing from a building window. That evidence was, of course, only part of the mountains of material considered by the committee, some of it from the CIA. And the CIA’s liaison to the committee was none other than George Joannides, by then retired from the agency. Blakey, the committee’s chief counsel, recalled how the CIA brought in Joannides to act as a middleman to help fill requests for documents made by committee researchers. “He was put in a position to edit everything we were given before it was given to us,” Blakey said. But Blakey didn’t learn about Joannides’ past until Morley unearthed it in files declassified years later. “If I’d known Joannides was the case officer for the DRE, he couldn’t have been liaison; he would have been a witness,” Blakey told The Associated Press. Which brings us back to the still-secret investigative files — about 300 pages of which relate to Joannides. Certain files held by the Warren Commission and House Select Committee were originally ordered sealed, for privacy, security and other considerations, well into the 21st century. Decades passed before public pressure spurred by Oliver Stone’s 1991 film “JFK” changed that. 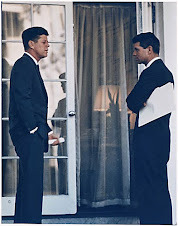 Congress passed the President John F. Kennedy Assassination Records Collection Act of 1992, which established the Assassination Records Review Board, or ARRB, to carry out release of records. As a result, about five million pages of documents have been released and are available for review at the National Archives and Records Administration in Maryland. But the review board agreed to withhold about 1,100 records — each record comprises 1-20 pages — that are considered to contain information about confidential sources or methods or have national security implications. It is unknown whether the CIA will try to keep some documents classified past 2017; if it does, that may only increase Morley’s resolve. A CIA spokesman, Ned Price, said the agency has complied with the law in releasing documents and the archives center “has all of the Agency’s documents and files on the Kennedy assassination. Price didn’t comment on the Joannides material specifically, citing Morley’s lawsuit. “The classified information contained in the files remains subject to the declassification provisions of the Act,” he said. Meanwhile, the documents sit in metal boxes on shelves in “a big room that’s temperature- and humidity-controlled,” said Martha Murphy, the Archives’ chief of special access and Freedom of Information Act requests. Among those are the Joannides files. An index created by the CIA and provided to The Associated Press by Morley describes many of the files as containing information on Joannides’ travel, training and personnel evaluations as well as memos pertaining to the CIA’s interactions with the House Select Committee on Assassinations. Morley’s interest dates to the 1990s when he covered the newly-formed ARRB. He filed suit for the Joannides documents in 2003 and has pried loose several hundred pages since then. A federal judge dismissed the case in 2010. But in June, a federal appeals court overruled a lower court that had denied Morley’s request to be reimbursed for attorneys’ fees. “Records about individuals allegedly involved in President Kennedy’s assassination serve a public benefit,” the decision said. Blakey isn’t optimistic about getting all of the documents from the intelligence agency. “They held stuff back from the Warren Commission, they held stuff back from us, they held stuff back from the ARRB,” he said. “That’s three agencies that they were supposed to be fully candid with. And now they’re taking the position that some of these documents can’t be released even today.